Modern suspension preheater kilns frequently face substantial problems of coating by dust deposition in kiln riser ducts, meal pipes, ducts and cyclones due to excessive contents of Chlorine (Cl) in the kiln system. The Cl originates either from the raw materials, from additives or from the fuels. Especially the application of alternative fuels can result in high quantities of circulating Cl in the rotary kiln and lower stages of the preheater. This Cl condensates under conditions between 750° C and 800° C on the raw meal particles making them highly adhesive thus forming several process-disturbing coatings in ducts and cyclones. A TEC provides the approved solution to overcome these problems with the bypass REDUCHLOR®. 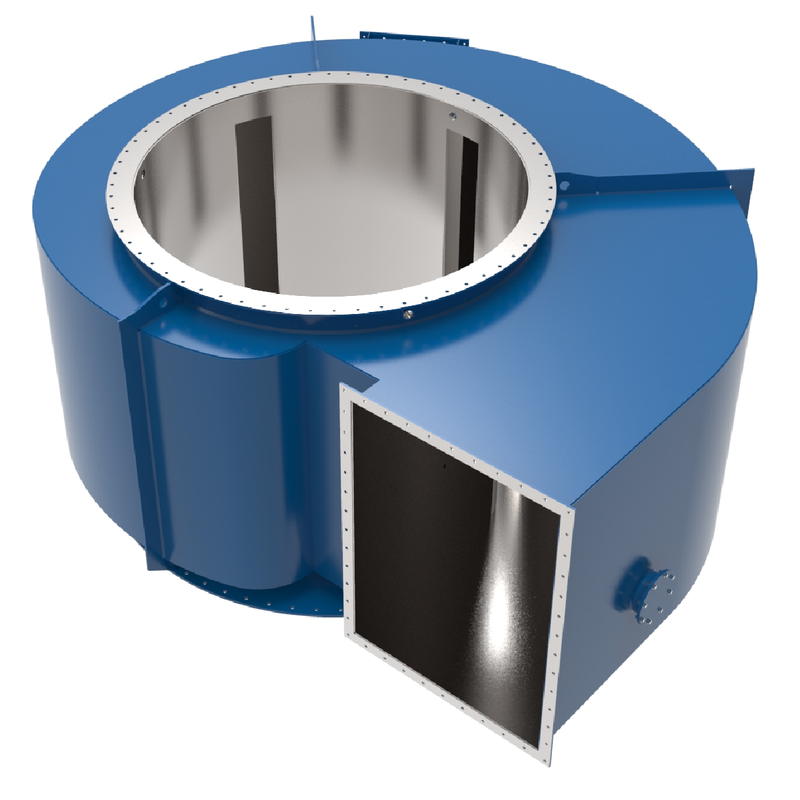 Bypass REDUCHLOR® consists basically of a take-off chamber above the kiln inlet, specifically designed for each installation and a specially designed quenching chamber where the Cl condensates on and adheres to the fine dust particles. After this condensation process the Cl-enriched material is collected in a filter. Kiln gas extraction rates of between 2% to 8% from the gas/material flow through the kiln inlet with a correctly designed bypass system is usually sufficient to reduce the Cl contents to an extent that the aforementioned coating problems are avoided without causing substantial thermal losses in the kiln.